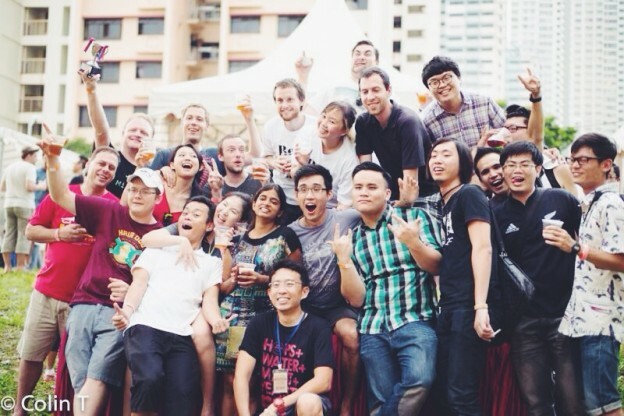 Beer Can Lah – Page 3 – A journal of brewing and tasting craft beer in Singapore. 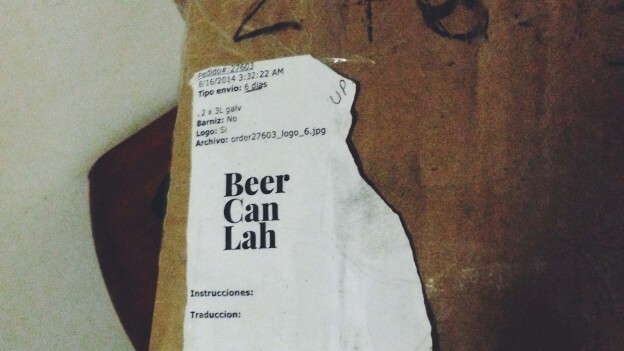 Beer Can Lah is in Esquire Singapore! 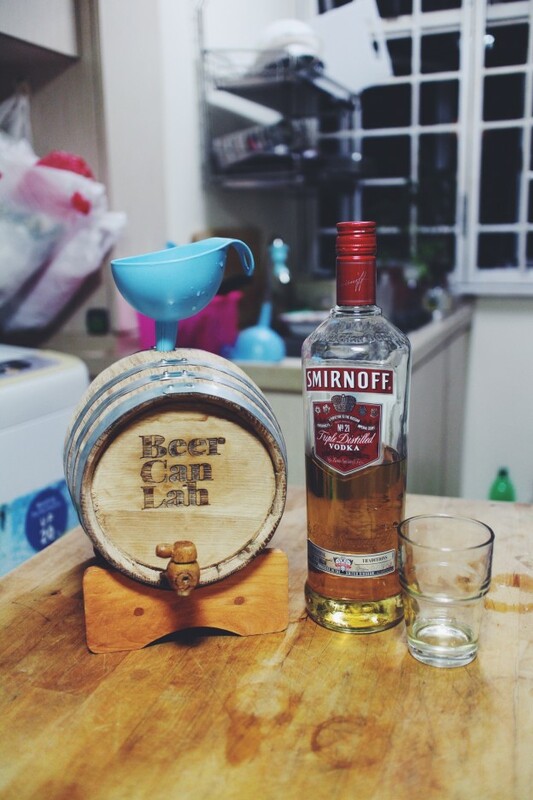 So sometime back in March, we had Jerome Lee and Jeri Chua, a freelance writer and photographer from the very dapper Esquire Singapore come brew two beers with us for a story. 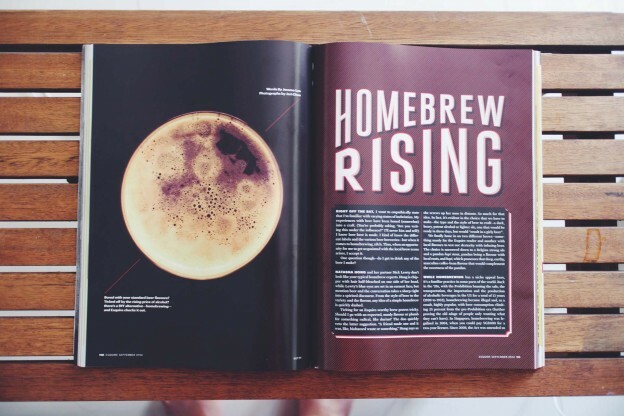 The awesome piece chronicling his first-hand experience making a brew is now in the September issue of the magazine! See under the cut for photos of the gorgeous pages, and more about the beer we made for Jerome and the Esquire crew. As you may have read in our previous post, we are the proud owners of two oak barrels. Natasha spoke to a bunch of local bartenders like Joe Alessandroni from 28HKS and Manhattan’s Ricky Paiva (have you seen their room full of barrels? That place is something else!) and learned that the barrels need to be conditioned before stuff goes in and the magic happens. After looking on enviously at our homebrewing friends, Dave and Sandy’s barrel-aging kits, we gave in and ordered ourselves a couple of barrels to age beers in! 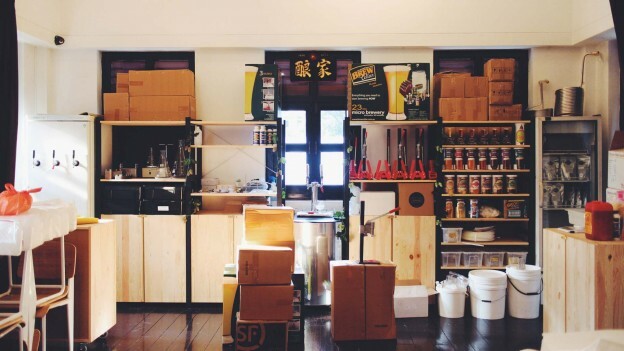 Back for yet another year of homebrewer showboating and fun camaraderie over beers made in home kitchens across the city, the iBrew Challenge is back again on 30 August, 2-7pm. This year, it pitches tent again at the grass field just outside the homebrew store and Meng Chao’s bottle shop, Brewers’ Craft.